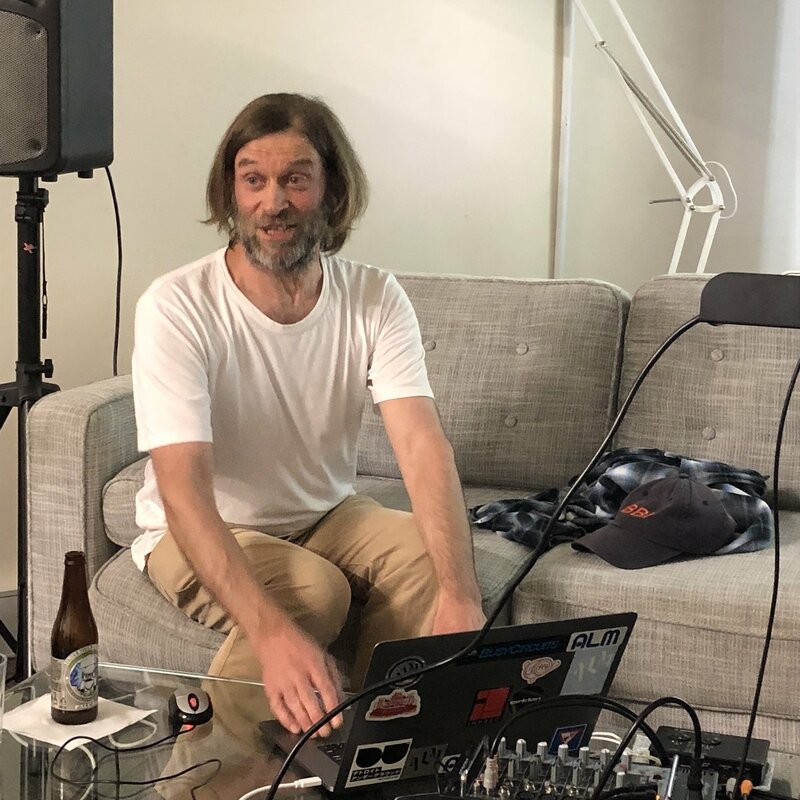 Included in this post is a look at some creative outcomes for my 2017/18 fellowship activities in USA and Regional NSW => Mentorship with Doug Quin and residency at Syracuse University, residency at Important Records HQ including a visit to local studio to see an ultra-rare Emu Modular, and giving workshops and working in the field/studio in regional NSW. I've included a number of soundcloud links giving excerpts of some the material I was able to record. During this visit I conducted a workshop, gave a lecture, and went out on field trips with Doug for environmental sound recording. In case you were wondering, yes this is the same Syracuse University that Lou Reed went to, and was later an Alumni. I was hoping they'd have Metal Machine Music playing on loop throughout the uni but no.. ! The first place Doug took me to was Stoney Pond State Forest, Madison County, New York, not too far from Syracuse. 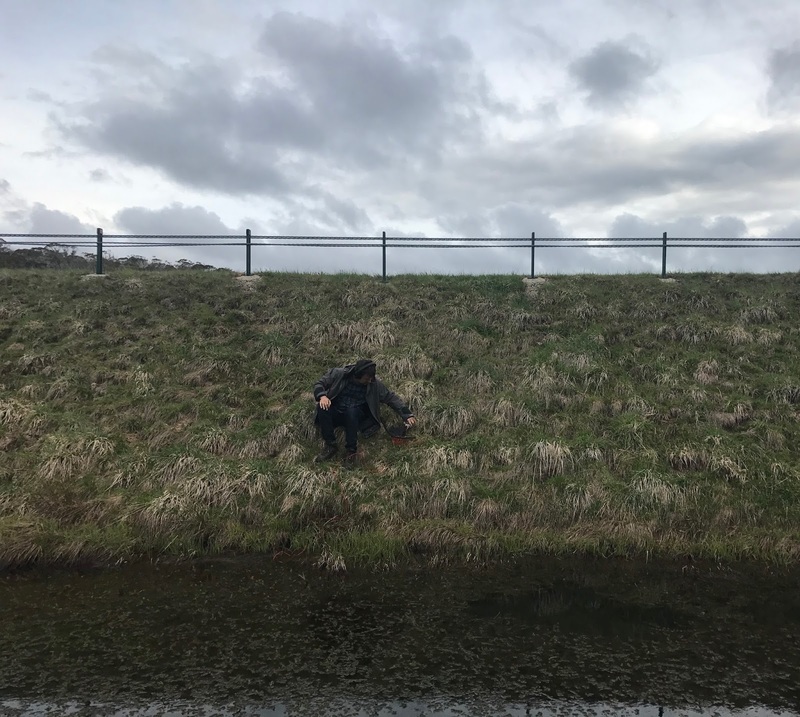 Doug took along his Ambient ASF-1 mkII hydrophone and Sound Devices 722 recorder, and we had a look around to spot some good locations for a longer session later. We returned twice, for the evening and morning frog chorus. You can hear the morning frog chorus further down this page. Pictures by Doug and myself. Take note of the trousers in the socks, vital to keep the nasty biting bugs out, of which there were many!! I was keen to get some environmental sounds of the city, so Doug came up with a really interesting spot, the interchange of I-81 & I-690. This interchange is rumoured to be scheduled for demolition after being operational for 60 years, but now in a severe state of deterioration.. You can read an interesting piece about this structure by photographer Shane Lavalette and poet Arthur R. Flowers, Jr.
We set up the Zoom F8 with Doug's Sennheiser MKH 30 & MKH 40 as a Mid-Side system and my 2x JrF C-Series pro contact mics via HOSA MIT-129 xformers for a 4 track recording. "Edition of 50 packaged in handmade, letterpress printed sleeves. 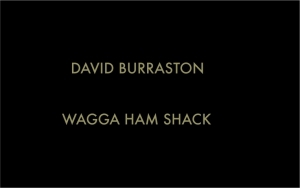 Wagga Ham Shack is an extensive, ambient recording of The Wired Lab's Global Communications Radio Club installation held at the Wagga Wagga Fusion Multicultural Festival in Oct. 2015. The incredible analog/digital sounds of short wave radio Ham's mix with David Burraston's accompanying synthesizer work to create an incredibly useful ambient environment." 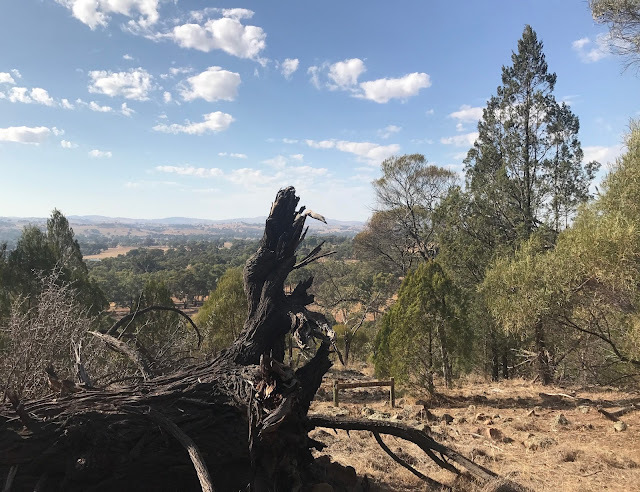 After my overseas trip I returned to Regional NSW to continue with the final stage of my activities which included presenting workshops, live performance and working in the field/studio. I was able to work with Chris Watson again, as co-facilitator for Wild Lab - Kosciuszko, organised by The Wired Lab. 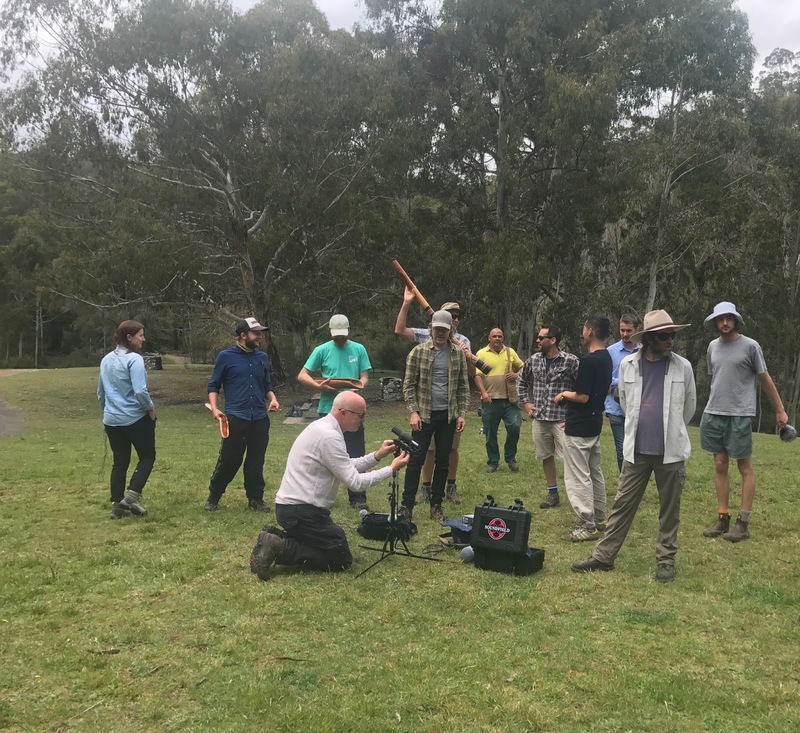 This four-day intensive field recording masterclass explored audio documentation in a range of natural habitats via various recording techniques and technologies, through to the application of these sounds in fields spanning the arts, film/screen, environmental sciences, gaming, VR, music and sound design. This was extremely useful for me to get first hand mentorship on setting up a very high level workshop, from identifying locations, to assisting participants with developing new skills. * Field recording in a range of environments, from caves to the various bush, plain and alpine habitats within Kosciuszko National Park. * Technical operation of various location recording equipment in day and night time conditions. * Microphone techniques with contact microphones, hydrophones and parabolic reflectors. * Acoustic monitoring techniques for environmental science research. * Spatial audio recording techniques with spaced stereo microphones, surround sound arrays. Along with Ambisonic techniques using 2x Soundfield ST450’s, Schoeps double mid-side arrays and Sennheiser mid-side systems. 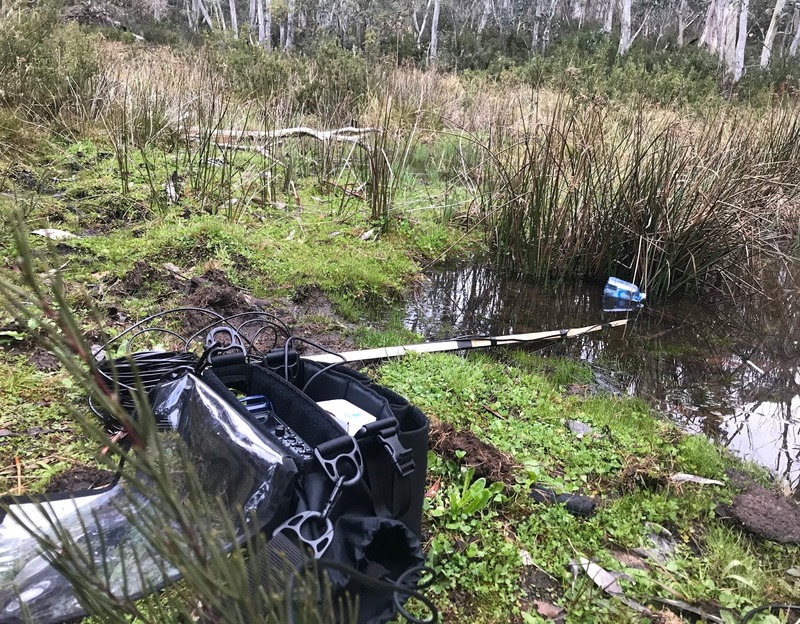 Each day participants explored the Kosciusko National Park and surrounds including: exclusive access to the network of caves within the Yarrangobilly precinct and also wilderness exploration of Kosciusko National Park via guided hiking excursions. Our first job was having a look through the various caves on site, to get a feel for the acoustic as well as any logistic issues. George Bradford [Yarrangobilly Caves Manager] took the participants on an eco tour, giving us behind the scenes access to the technology & sounds that keeps the precinct running. This was a really interesting tour, and allowed everyone to listen to sonic environments and record parts they found interesting. I gave a Sound Design workshop at Wagga Wagga Art Gallery, followed by a live outdoor performance. The workshop encompassed all manner of sound design techniques from outdoor field recording around the lagoon with microphones and hydrophones, a soundwalk, sound synthesizers and editing audio on computer. I also got an interview at local radio station 2AAA-FM. 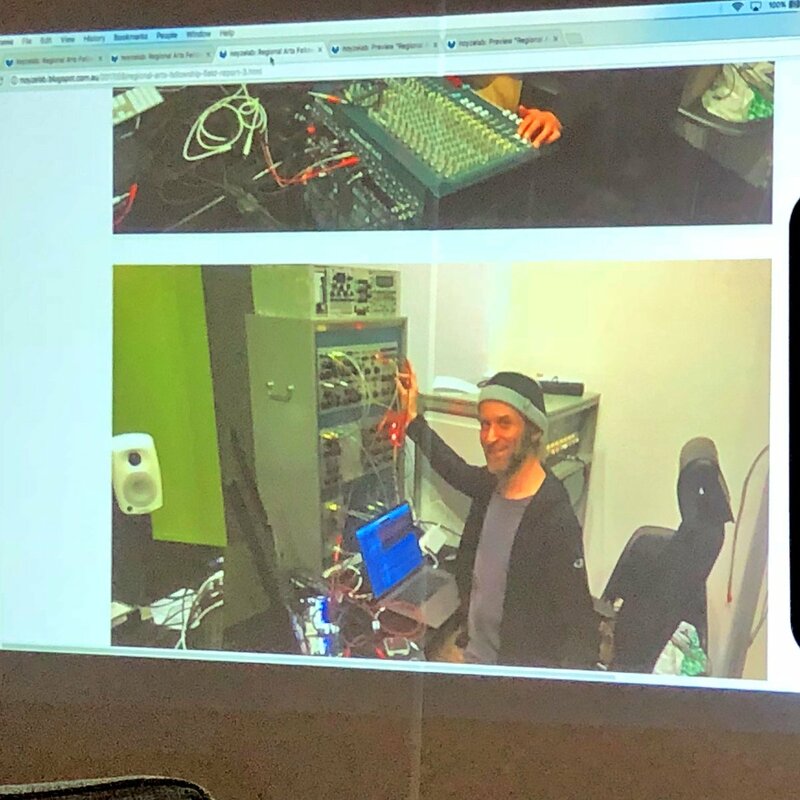 Following the workshop I did a live performance with a small modular setup and a laptop computer. My set was based around a live mix of field recordings from Kosciuszko National Park with accompanying synthesizer. Pictures by myself and Linda Elliot. I presented two days of Field Recording workshops at the Museum of the Riverina Botanic Gardens site. Its a real gem of a location, just on the outskirts of Wagga Wagga, and you can read more about the site here. I've spent time in the studio building some custom gear, working on Rainwire [Processed] for Important Records, mixing down my Moog Sound Lab UK sessions, and going over some of the Fellowship source material for a Soundcloud playlist [see the bottom of this post for the full playlist or open it in a separate window here]. My earlier residencies at EMS Stockholm in February and in May/June have been great for getting me some hands on experience with Roberta Settels historic diode/transformer ring modulator, and the studios Serge modular. Here is an overview of the components I used for these ring mods, most of these can be bought very cheaply!! VIGORTRONIX VTX-101-007 Audio Transformer, Encapsulated, 600 ohm, 600 ohm. Standard Winding Company Signal Corps COIL C-161 - these are pretty hard to find though! 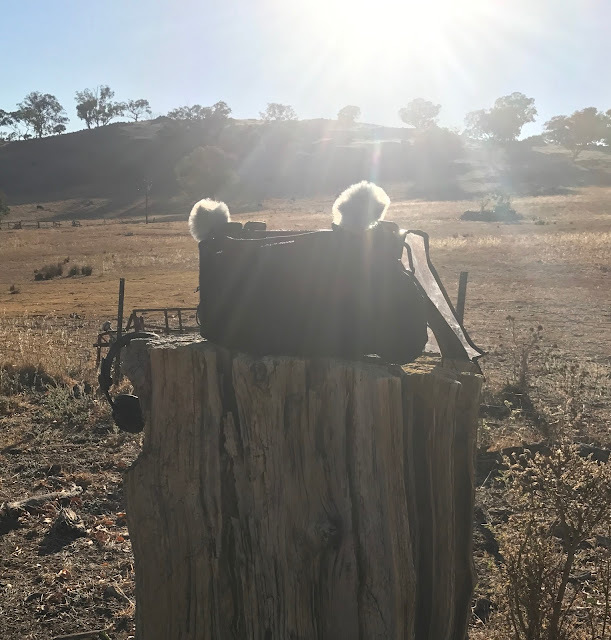 Below are some pictures and sounds of various field recording trips I've been undertaking in Regional NSW. This included trips to do recording, as well checking out the locations for future recording and workshop sessions. 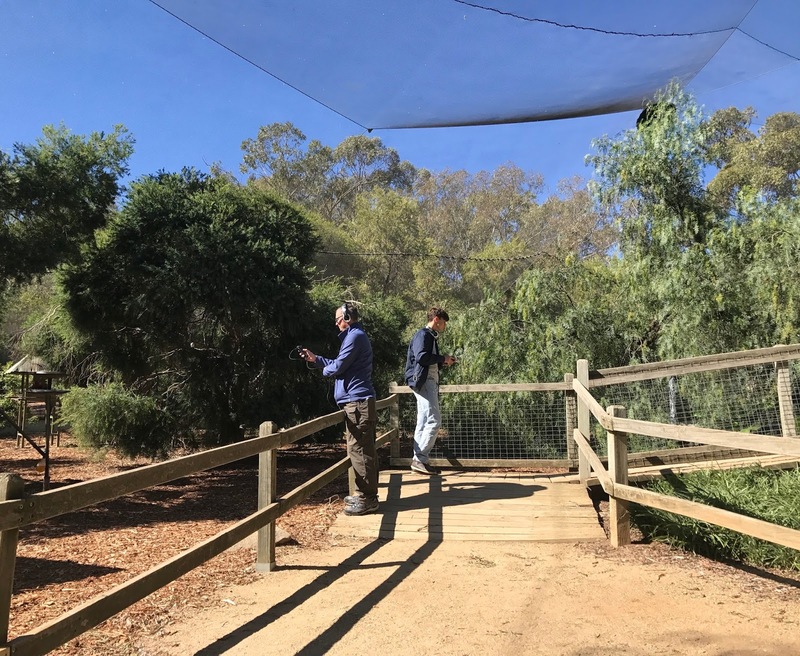 Another long-term goal of mine is making recordings of Sulphur-crested cockatoo's and I got lucky in paddocks at The Wired Lab. Zoom F8, FEL Communications Clippy XLR EM172 Omni Microphone, Matched Stereo Pair, REAPER 5. 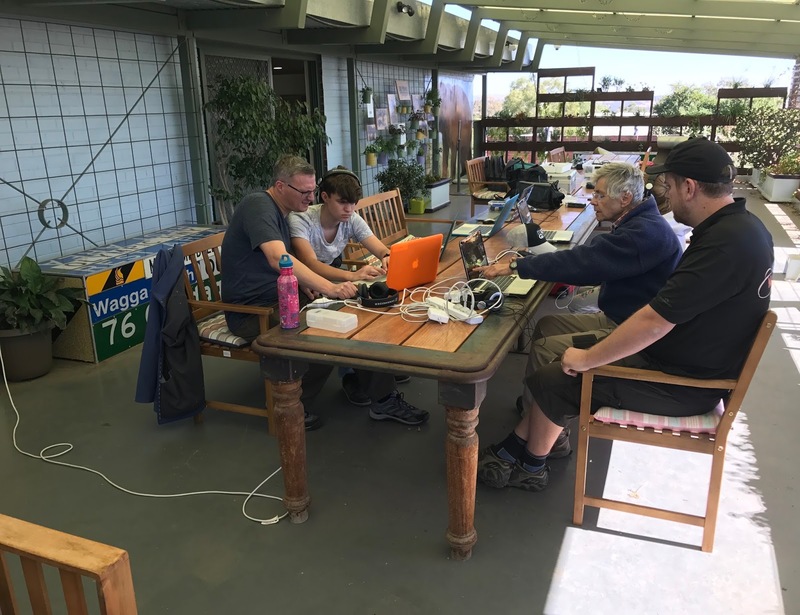 Recorded April 2018 at The Wired Lab, Muttama, NSW. The Sulphur-crested cockatoo is an incredible bird, and unusual because its very loud shriek is known to have a chaotic acoustic structure, which has always made them extra interesting! Those recorded here were some distance away, with the odd flyover, and many other local birds are heard in the foreground. ".. produces an immensely loud shriek that can be shown by analysis to be actually a chaotic oscillation of its syringeal valve"
Below is a recording of morning ambience at Pioneer Park Nature Reserve, Cootamundra. Zoom F8, 2x FEL Clippy XLR EM172 omni mics, REAPER 5. This recording was made around 10am, April 5th 2018, at Pioneer Park [lower summit approx 415 feet above sea level]. Pioneer Park is a nature reserve on the outskirts of Cootamundra. A unique location with an abundance of flora and fauna, it is situated to the south west, rising to about 490 feet above sea level. It looks down on the town and has expansive 360 degree views far out to the ranges. The main railway line passes at the bottom, on either side it is flanked by a flour mill and a quarry, all can be heard on this recording. Doug Quin & Peggy Droz for legendary hospitality! John Brien [Important Records] & family for legendary hospitality!